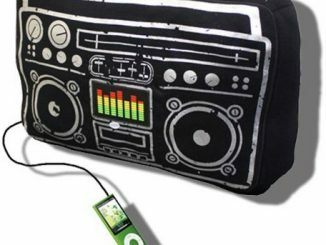 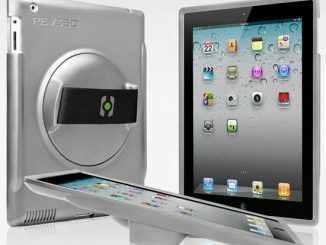 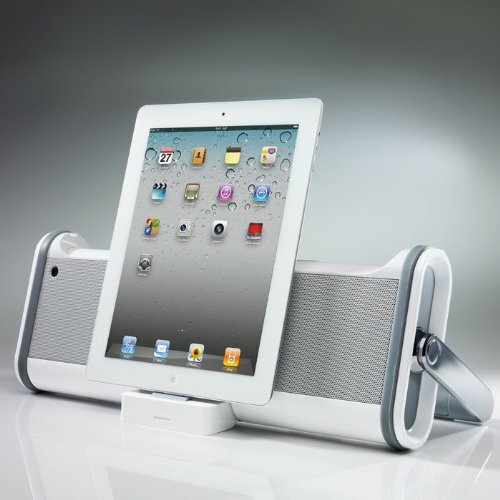 The Boombox for iPad Tablet docks, charges and plays music from your iPod, iPhone or iPad. 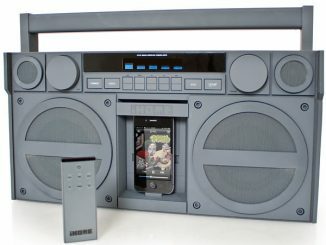 It also has FM radio! 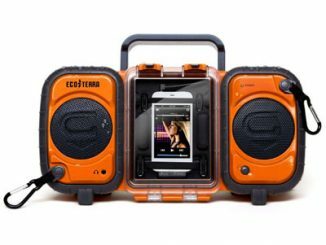 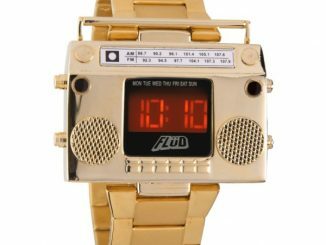 This Boombox is light, thin and super portable and sports some nice bass-kicking audio. 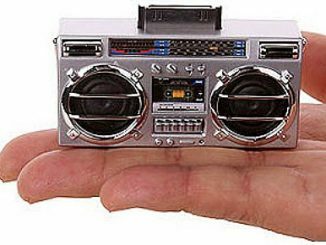 The built-in FM radio has 4 customizable presets to lock your stations in place, a 3.5 mm Aux In jack, LED, an integrated remote and the rechargeable NiMH battery delivers 4 hours of play per charge. 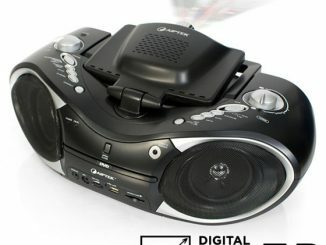 It also comes with an AC wall adapter. 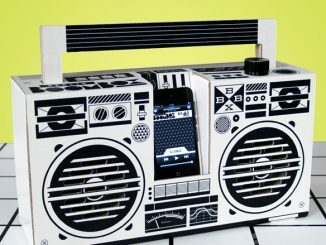 This isn’t the boombox you grew up with. 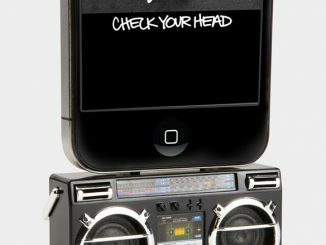 It’s much cooler. 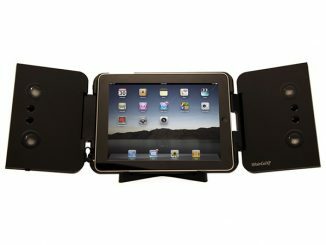 Just $149.99 from Amazon.